TDS deducted, no need to file Income Tax Return? TDS deducted, no need to file Income Tax Return? TDS deducted, no need to file Income Tax Return? As my TDS is deducted, no need to file Income Tax Return – A Misunderstanding of Common Man. Arjuna (Fictional Character): Krishna, Income Tax Department is sending notices to Taxpayers for not filling Returns of last 3-4 years based on TDS, etc. What are they? Krishna (Fictional Character): Arjuna, Income Tax department send notices to Taxpayers on the basis of information linked with PAN , such as TDS by Banks on FDRs, Mutual Fund transaction, Immovable Property Transactions, Cash Transaction in Saving A/c, Credit Card Transaction etc. Many Taxpayers thinks that there is no need to file Income Tax Return as their TDS is already being deducted on Income earned. It is a big misunderstanding for beginners or common man. If Taxpayer has Taxable Income in any year or if he has Refund to claim then it is necessary for him to file Income Tax Return. Further if a notice is received even after Return is filed then compliance of it should be given. Further Limit of TDS deduction and basic exemption limit for taxable income, both are different. Hence even income is below taxable income, TDS is deducted by the payer and above misunderstanding starts. Further salaried persons also have same understanding, as they feel that on their total salary TDS is deducted, hence all tax is paid, no need to file return, etc. 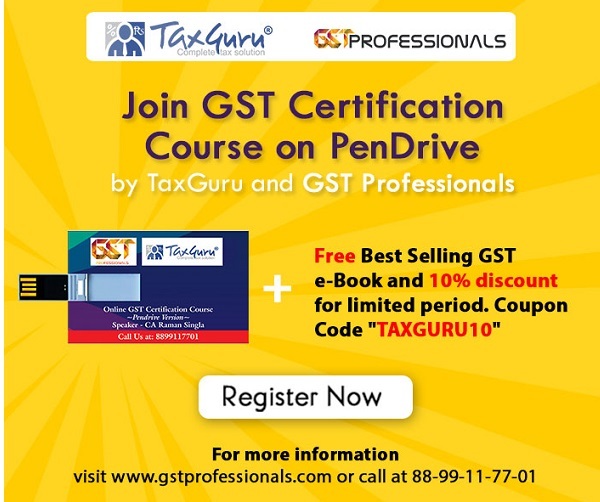 Arjuna: Krishna, What is relation between Income Tax and TDS? Krishna: Arjuna, TDS means Tax deducted at Source. According to Income Tax Act, in some specified Transactions like salary, rent, interest, commission, fees, etc, while paying or accounting expenditure, whichever is earlier, TDS have to be deducted and required to be paid to the Government treasury. This means the Payer pays Taxes of the Receiver. E.g. “A” is employee at “B” and his monthly salary is Rs. 60,000 then “B” has to deduct TDS from salary of “A” and required to pay TDS to Government. That means TDS depends on the type of Transaction. But responsibility for filling Income Tax Return lies with the receiver. The receiver Taxpayer has to show all the Income received in Financial Year from Salary, Rent, Interest, etc. in Income Tax Return. After considering all incomes, deductions, etc and after computing the tax if it comes to Income Tax payable then it should be paid or if refund arises then it should be mentioned in return. Taxpayer has to mention the details of TDS Credit received in Income Tax Return. I.e, reconciliation of TDS as per Form 26AS and Income Tax return filed needs to be done. Any mis match may lead to further notice to taxpayer. Arjuna: Krishna, who should file Income Tax Return? Krishna: Arjuna, A Person is required to file Income Tax Return if he has Taxable income i.e. his Income is exceeding basic exemption limit (For FY 2014-15 Rs. 2.5 lakhs) even if Tax liability arises or not. If TDS of a person is deducted and Refund arises, same can be claimed, by filing Income Tax Return. E.g. many taxpayers have only income of Interest on deposits. If Interest received is not exceeding Basic Exemption Limit then it is not necessary to file Income Tax Return. But if TDS is deducted on the Interest then he has to file Income Tax Return for getting refund. To save himself from TDS deduction such Taxpayers can file Form 15G or 15H before receiving Income for not deducting TDS. Arjuna: Krishna, what precautions should one takes before filling Income Tax Return? Krishna: Arjuna, Every Taxpayer should download 26AS from the Income Tax department’s website. Income and TDS as per 26AS should be verified with the Income Tax Return. Taxpayer may have to face the Department if Income is shown less than the Income shown in 26AS. Arjuna: Krishna, if a Taxpayer receives a notice for not filling Income Tax Return, then what should be done? Krishna: Arjuna, the Taxpayer has to give Online Compliance if he receives notice for not filling Income Tax Return in this Year and its Status has to be mentioned. The Taxpayer has to mention whether he has filed Income Tax return or not, if he has filed, then he needs to mention the Return filling date, Acknowledgement No., Circle/ Ward and whether online or paper form. If return is not filed then the reason for non-filing is required to be given. Further he has to mention whether the notice received is for his own PAN or for other related PAN. The Taxpayer can file previous year’s returns on the basis of the said notice. If it comes to tax payable then Taxpayer should pay tax and interest, file return and then submit online compliance. Arjuna: Krishna, What should the Taxpayer learn from the Income Tax Return, TDS and Notice? Krishna: Arjuna, the responsibility of TDS deduction is of the deductor, Filling of Income Tax Return is of self and to draw notice is of the Department. If a Taxpayer files Income Tax Return correctly then department will not issue notice and no online compliance has to be made. Many taxpayers think that after the TDS is deducted there is no need to File Income Tax Return. A small confusion / misunderstanding in the eyes of law becomes complex in future. Like our health may get damaged, if we don’t pay attention to minor illness. This means Compliance of law and Disease of body should be cured immediately otherwise its effects may create complication in future. There is TDS done while crediting amount in the Bank. This individual doesn’t have taxable income. As such, never filed IT return and don’t want to file in future either, as the earning is only from Fixed deposit interest which is / will be below taxable limits. Not interested in claiming back TDS amount. In such case what are the consequences of not filing the IT return? system is asking he acknowledgement no and date of filing of original return. due to it, not calculating the tax. My income is not taxable in the AY 13-14. But AY 2013-14 tds @ 2540/- deducted on commission (Share Mkt.) u/s 194H. today i’ve received a letter from IT department for non filling of IT Return AY 2013-14. What can I do? Plz suggest me. Thanks in advance. Can assessee claim exemption u/s 54F without filing Return for that particular year at all ? I do not have taxable income. But I received notice based on TDS collected from me at 10% of a small payment of commission of Rs.2400. What to do now Sir?. For FY14-15, my tax has already been deducted from my salary. Can I return it back? If yes then how? This is my first time. So, unaware of the procedures. Please help me how will I get the money back. Please provide step by step, as I am new to it. I have changed company last Jul-2014. Following are the details of the salary and TDS. Now when I tried to file income tax return in cleartax.com its showing tax due of 4,280. My income is not taxable so i am not a tax payer. i do not have any source of income except income from other source ( bank interest). For year 14- 15 TDS has been deducted on the interest credited to my account till 31st March 2015. As soon as it came to my notice in the month of June i have submitted form 15 . Can you please explain me the procedure for refund of the same? I changed the company in last financial year. The last company haven’t given my due settlement yet but they deducted TDS and submitted to IT for due settlement amount. Also they have considered amount in form 16 provided to me. Now it is increasing my tax liability on papers. how to come across this issue? DO IT have any provision for this? is aadhar card no., necessary to file online incometax return?does it mean those who have not received aadhar card cannot file incometax return for the current assessment year? I am a retired person ,Getting Rs.4.25 lacs pension per year. My terminal benifts Approx. Rs35.00 lacs has been invested in Bank’s Time deposit( Fixed Deposits ) Apprx 3.25 lacs interest income is accrued in ayear on which bank deducts TDS. I have availed Rs.15.00 lacs overdraft on my FDR from the same branch of the bank in my own name and the FDR’s have been kept as security with the bank. Sir can I claim exemption on the amount charged (Rs 1.30 Lacs ) by the bank on overdraft while filing ITR. if it is applicable please guide me under which section and how this amount should be shown in the ITR to be filed. One employees TDS is not done by the employer. But issued form-16 with due of TAX payment. The employee deposited the same on his PAN, and filed Return of Income and the same was processed U/s 143(1) of I.T. Act., showing tax due as nil. The same was uploaded by the employer in e-TDS Statement, the Tax payable amount is showing as short deduction and interest on that to the employer. How to solve this problem? This is most urgent task. Now u can e-file income tax return for the AY 14-15 and AY 15-16. For AY 13-14 and its previous years physical return will have to be submitted to the department if department issues notice. Further if the assessee have tax liability in previous years then tax should be paid and in case refund application to commissioner will have to be submitted by stating reason for non filing return within due date. Thanks for mail. My doing the practice of Income Tax. I have one query regarding TDS and return filling. One on My client is regularly filling income tax return since AY-2007-2008. But in between . For AY-2011-2012 & 2012-2013 they failed to file income tax return. TDS is deducted, but return is not filling. Now my self wants to file there Income tax return for the AY-2013-2014 can my self file the said return for AY-2013-2014. For the AY 2011-2012 & 2012-2013 they have not yet receive any notice to file the return. Also if i file the AY -2013-2014 return. and after filling the return, if notice is receive for AY 2011-2012 & 2012-2013. for non filling of return. What should we do in this case. Please comment on my issue. 1. If TDS is deducted then TDS return have to be filed. 2. Form 3CEB is Transfer Pricing Report, If provisions of transfer pricing are applicable then report will have to be submitted. You will have to get your TDS return filed from DDO otherwise you will have to make payment to Income Tax Department. Please confirm we have an salary income and tds not deposited by the deductor. what to do whether we have to file the Income tax return or not. If tds is deducted on foreign affiliate for royalty & other service charges, 1. do we need to submit return? 3. Can we skip filing above requirements by any sort of formalities etc. Similar thing happened with a friend of mine. He lodged a police complaint as the deductor was absconding. The police finally found him and made him remit the TDS amount and file TDS returns. You should also take the legal path. I am a Central Govt employee. Income tax from my salary was deducted by my PAO and paid to Income Tax Dept by book adjustment. My DDO did not file e-TDS and did not issue proper form-16 downloaded from TRACES. Huge amount of tax deducted from my salary is not figuring in 26AS certificate downloaded from the site. Though requested several times, my DDO is not filing e-TDS, the reason appears that my DDO is not conversant with the complicated system of e-TDS filing procedure. I have no control over my DDO. I have received a demand notice for short payment of about Rs 54,000 after assessment of my return by CPC, Bangalore. If e-TDS is filed, this demand will not stand. What should I do?